In the 1920s, Asakusa was to Tokyo what Montmartre had been to 1890s Paris and Times Square was to be to 1940s New York. 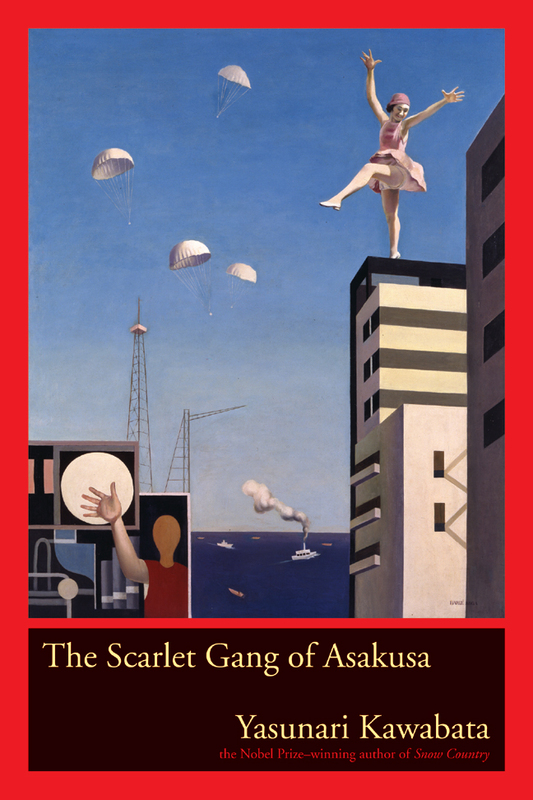 Available in English for the first time, The Scarlet Gang of Asakusa, by Nobel Prize winner Yasunari Kawabata, captures the decadent allure of this entertainment district, where beggars and teenage prostitutes mixed with revue dancers and famous authors. Originally serialized in a Tokyo daily newspaper in 1929 and 1930, this vibrant novel uses unorthodox, kinetic literary techniques to reflect the raw energy of Asakusa, seen through the eyes of a wandering narrator and the cast of mostly female juvenile delinquents who show him their way of life. Markedly different from Kawabata's later work, The Scarlet Gang of Asakusa shows this important writer in a new light. The annotated edition of this little-known literary gem includes the original illustrations by Ota Saburo. The annotations illuminate Tokyo society and Japanese literature, bringing this fascinating piece of Japanese modernism at last to a wide audience. Yasunari Kawabata (1899-1972) won the Nobel Prize for literature in 1968. His 1937 novel Snow Country secured his position as one of Japan's leading authors. Alisa Freedman is a visiting assistant professor of Japanese literature at the University of Illinois at Urbana-Champaign. Donald Richie—novelist, critic, essayist, travel writer, and former director of the Japanese cinema collection at the Museum of Modern Art in New York—is author of The Films of Akira Kurosawa.